Spoilers, folks... 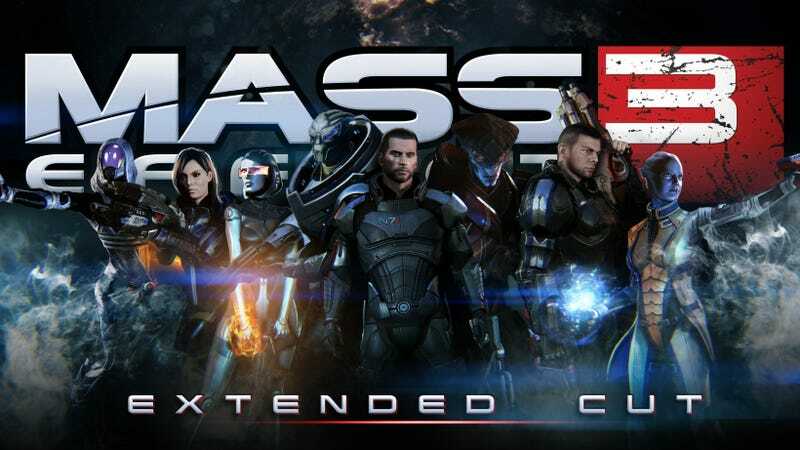 So much for the extended cut of Mass Effect 3 just adding a slideshow to the end of the game's many possible endings. It appears that development studio BioWare has given players a new option at the game's final junction. Note: we have not encountered this option ourselves but believe the widespread conversation of it online among fans and a clip of it on YouTube prove this is not a hoax but in fact a real new option. We're racing to the ending ourselves and will confirm when we've gotten there. It's real. Here's the new refusal ending. The new choice appears to be available from a new batch of dialogue options seen in this shot, which was snapped overnight by NeoGAF message board user CrewNH. The original version of Mass Effect 3 presents only the dialogue options seen in this shot and then allows Commander Shepard to choose among three possible final acts.